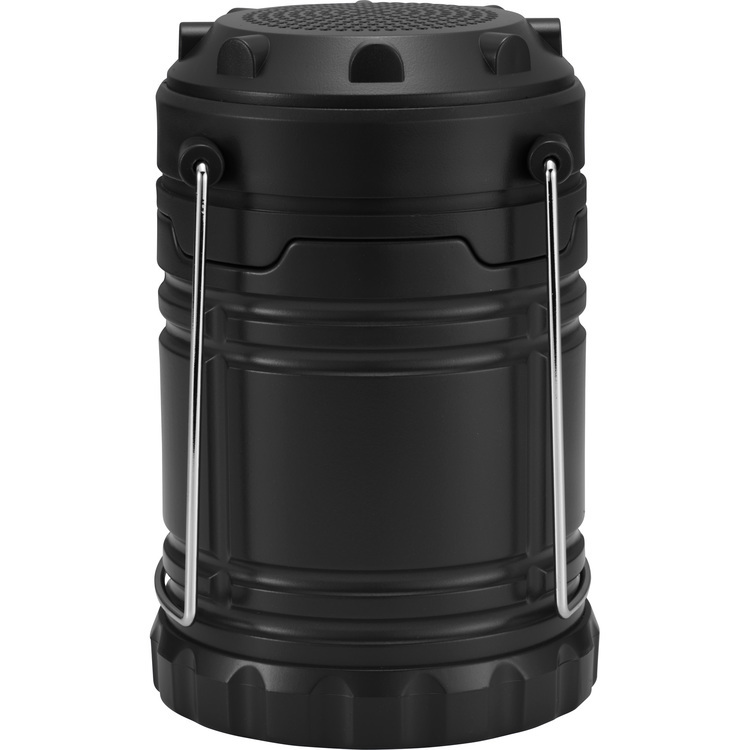 Rugged waterproof wireless speaker with built-in microphone. IPX66 waterproof, shock and dust resistant; carabiner; charge time: approx. 3 hrs. ; playtime: approx. 5 hrs. ; li-ion battery; charging cable included. 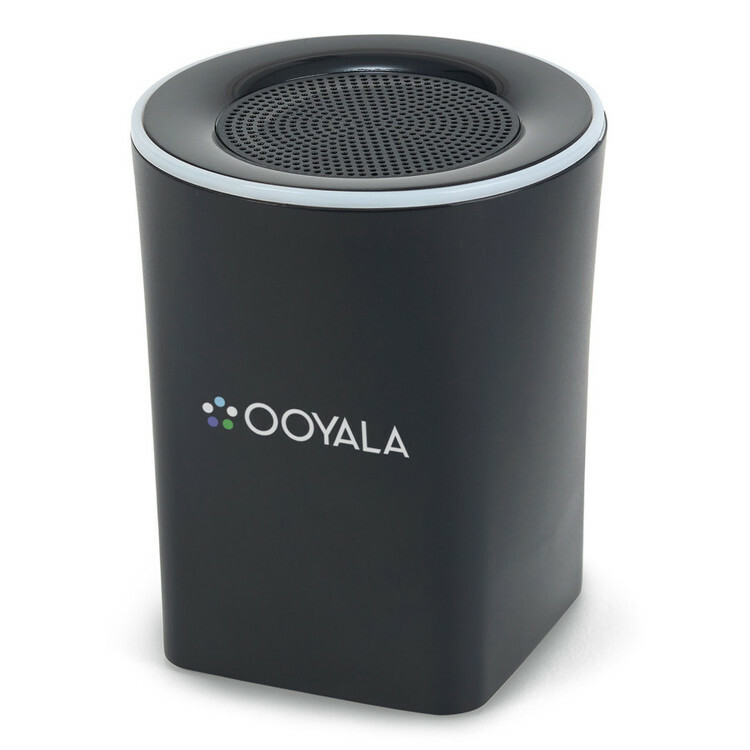 Aluminum wireless speaker connects wirelessly to your mobile device using wireless technology up to more than 30' away. Connect to any wireless enabled device such as mobile phones, MP3 players, multimedia devices, tablets and computers. 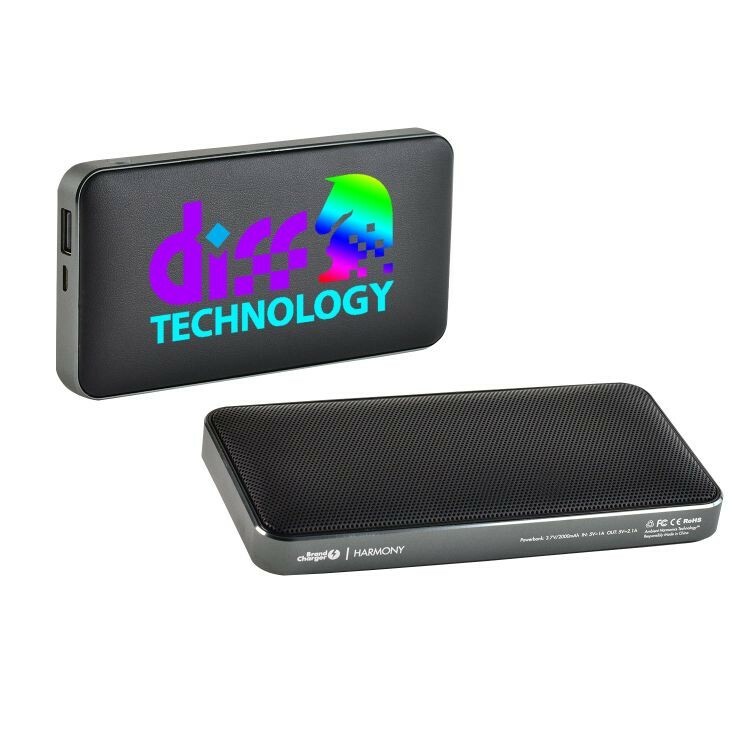 Includes a rechargeable lithium-ion battery that delivers 3 hours of playback time and charges through micro USB port (cable provided). Features a built in mic for hands free calling. Battery capacity: 400mAh. 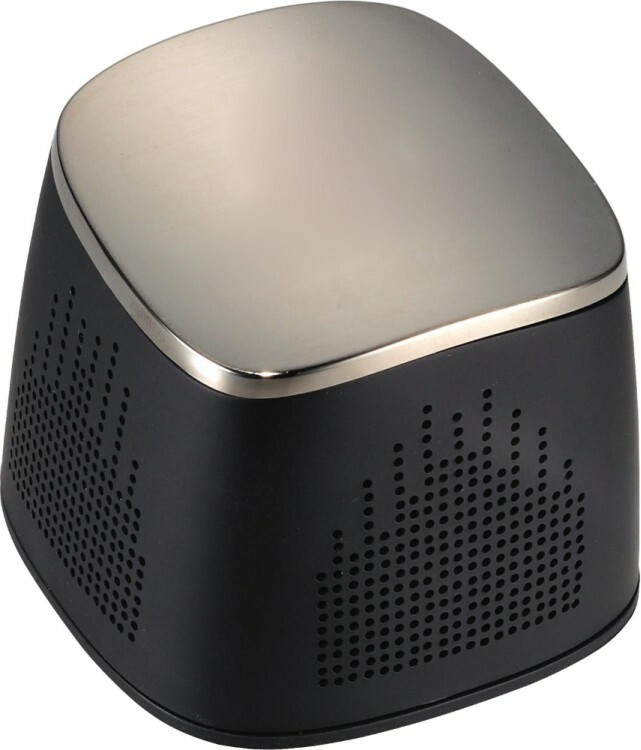 Great sound comes from this beautiful metal Bluetooth(R) speaker. 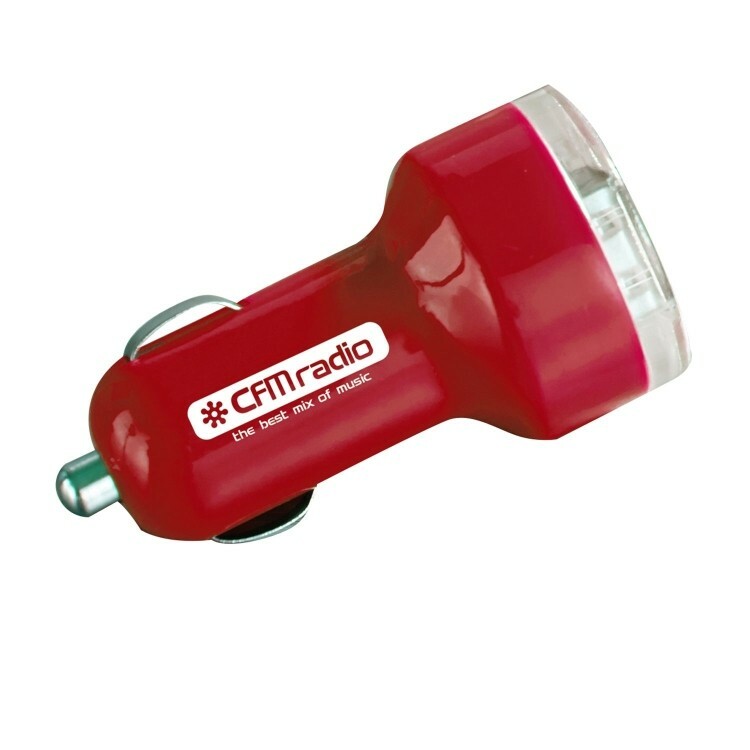 It can be used for music, as a speaker phone, and has an auxiliary jack for plugging in non-Bluetooth(r) devices. Cords included are 27 and 18.Input: 3.7-4.2 V. Output: 3W. 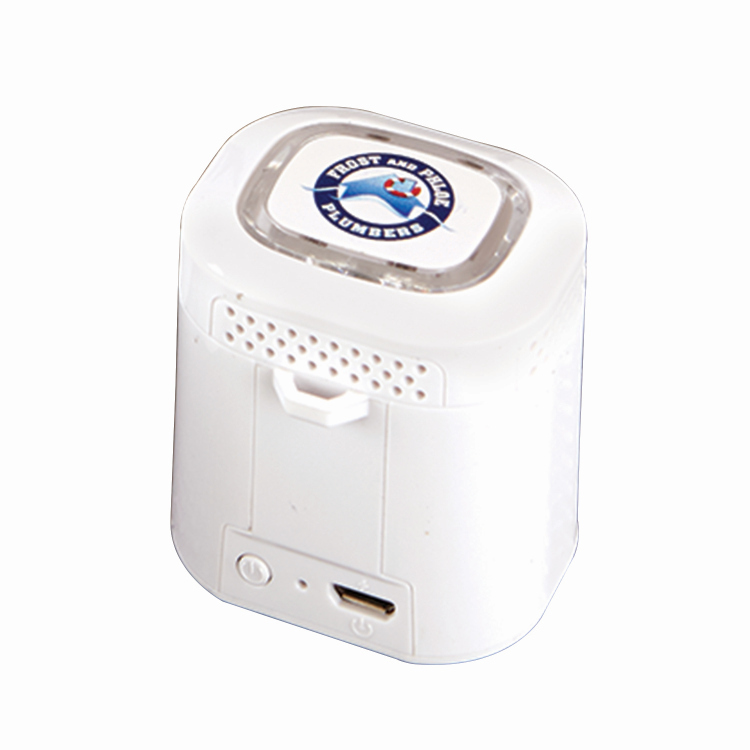 Battery type: built-in rechargeable Lithium polymer battery. 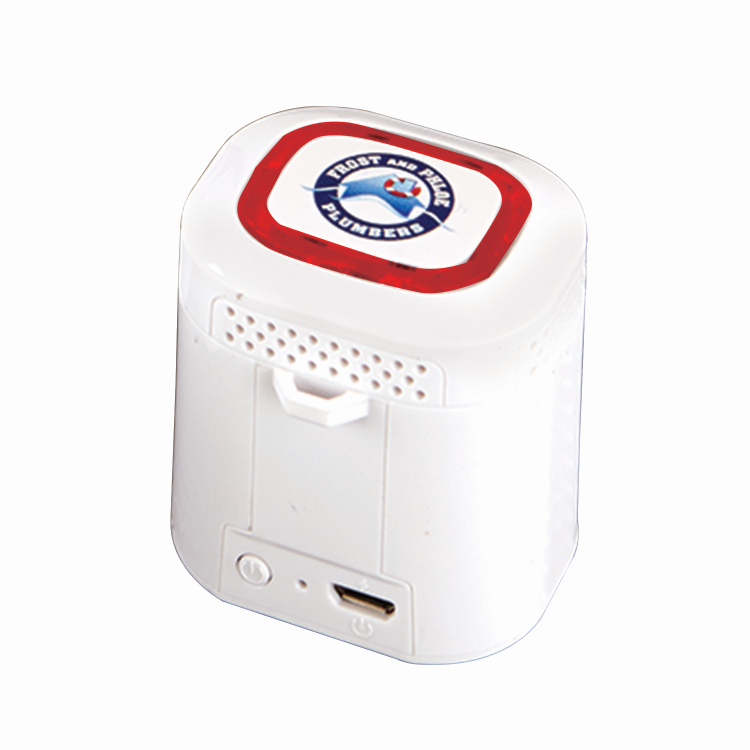 Capacity: battery charging 5 V, charging time 2 hours (max), playing time 3 hours. Plug: USB and 3.5mm audio cable. Packaging: white box. 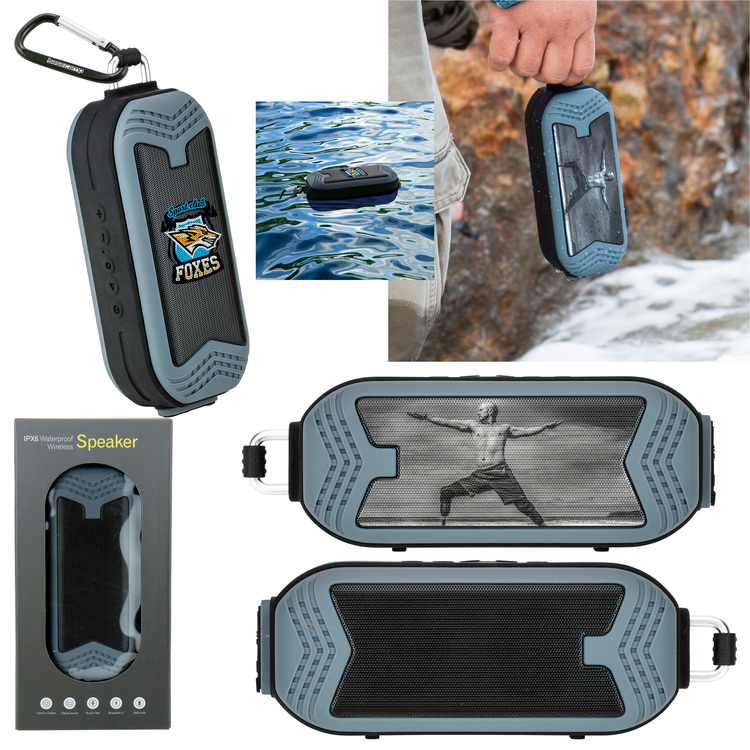 This multi-purpose item has 2 speakers (2.8 Watt each), active woofer, handsfree speaker phone, and a 2000 mAh battery that serves as a power bank or for extra long speaker play. Comes with a rubber stand and pouch. 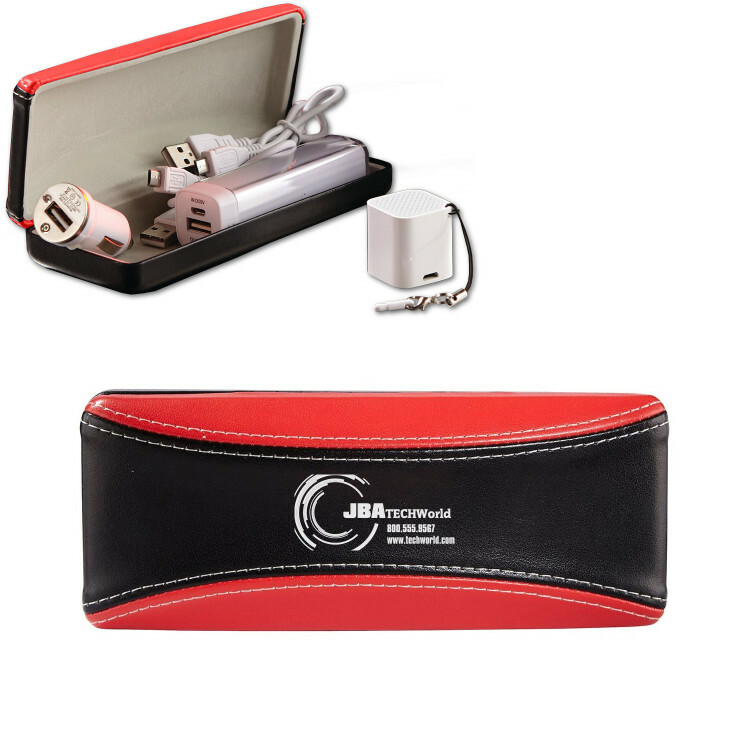 Great for travel…bring along your Bluetooth(R) speaker, 1200 mAh power bank, and your USB car adaptor in a very attractive durahide case. Input: 5 V. Output: 1200 mAh. Battery: rechargeable Lithium. Capacity: 1200 mAh. Plug: USB. Packaging: individual white box. 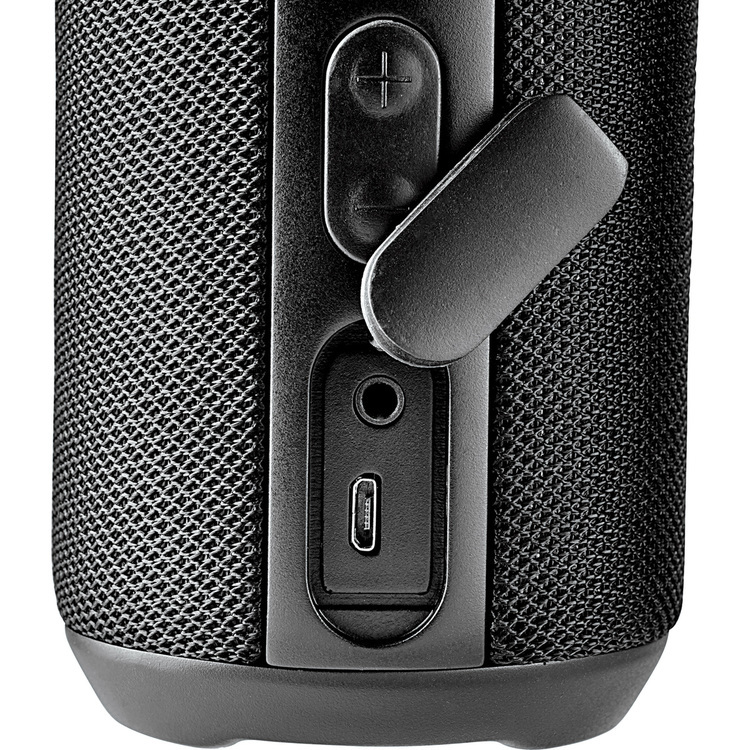 Great sounding speaker encased in a metal body with a non-slip bottom is what you get with this piece. 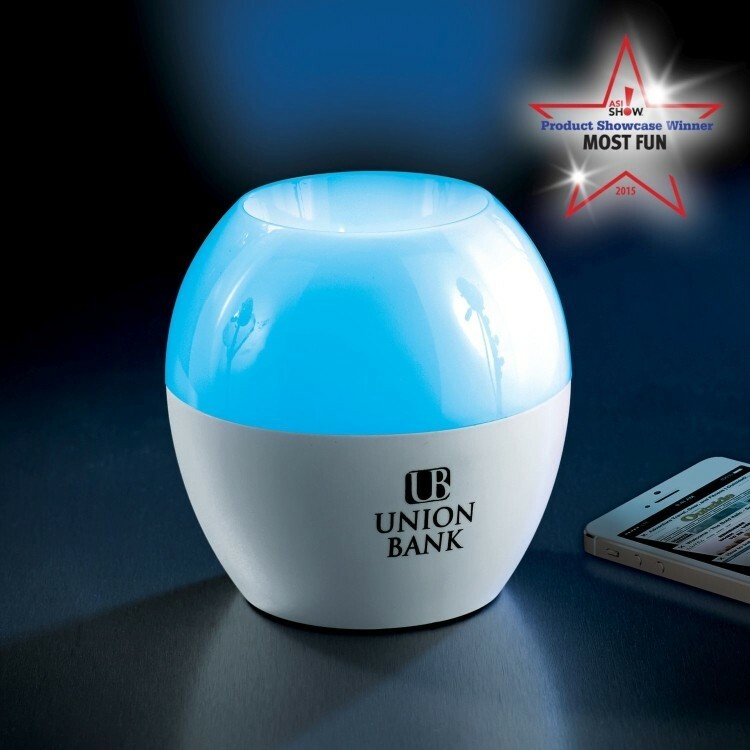 Also included are a built-in rechargeable lithium ion battery and a multifunction USB power cord to charge the item or play your non-Bluetooth(R) devices. 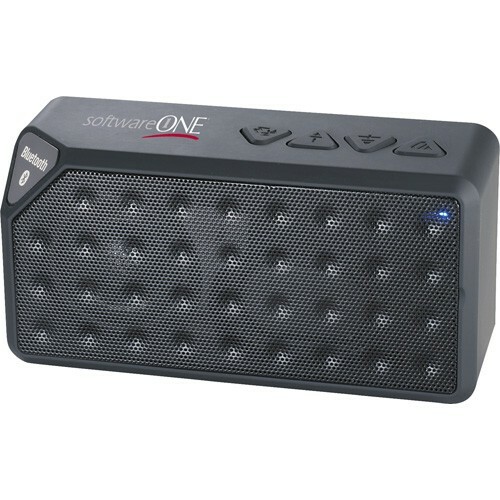 Plays music from Bluetooth(R) or corded music players and TF cards. 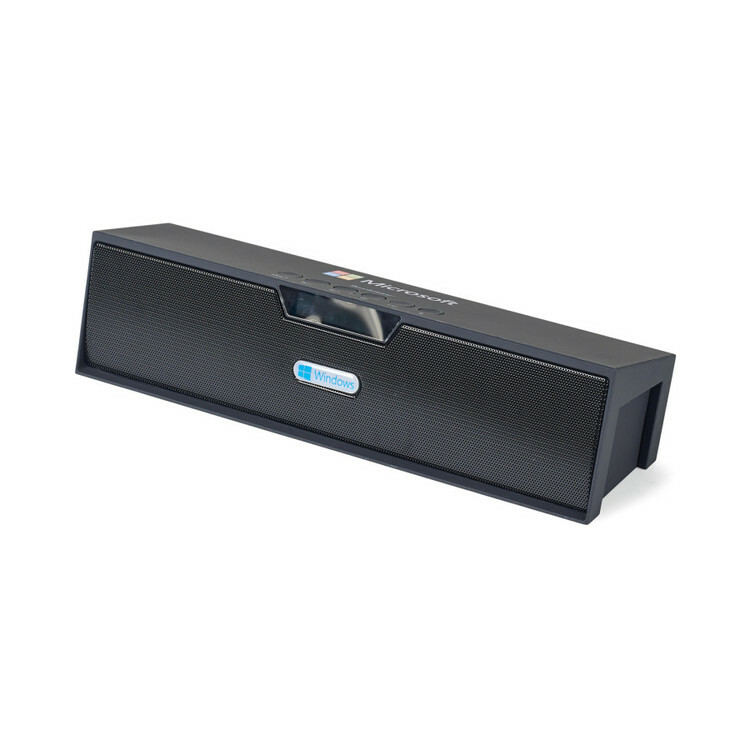 Stay powered and entertained with the Dooku powerbank bluetooth speaker. 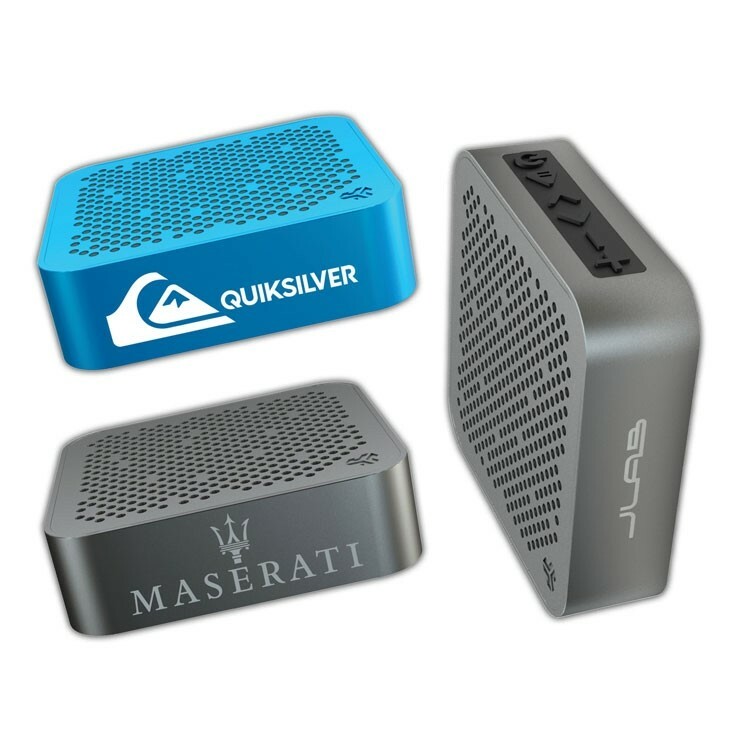 The Dooku combines a 2000 mAh powerbank with a 3 Watt Bluetooth speaker. 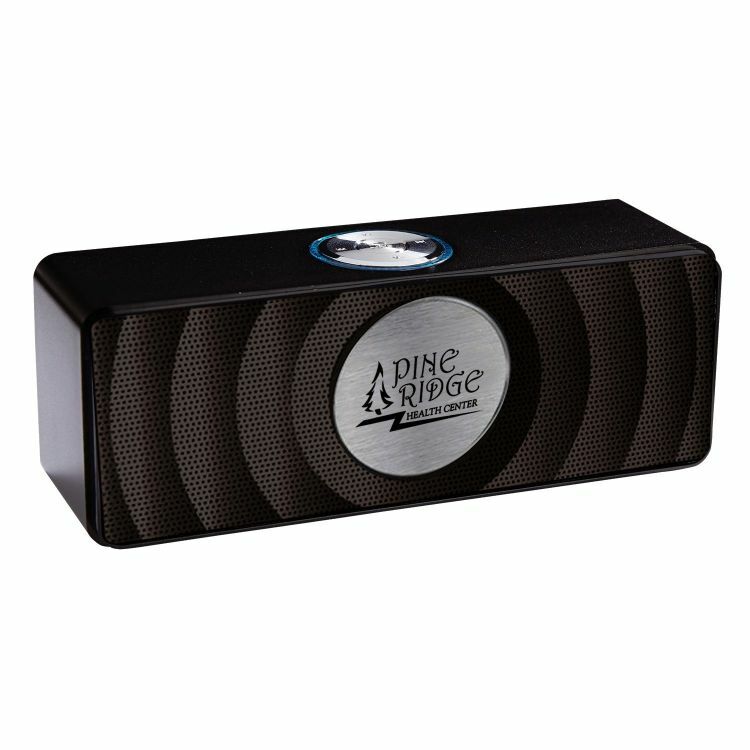 The compact design of the speaker makes it a great table top speaker with a large decorating area. 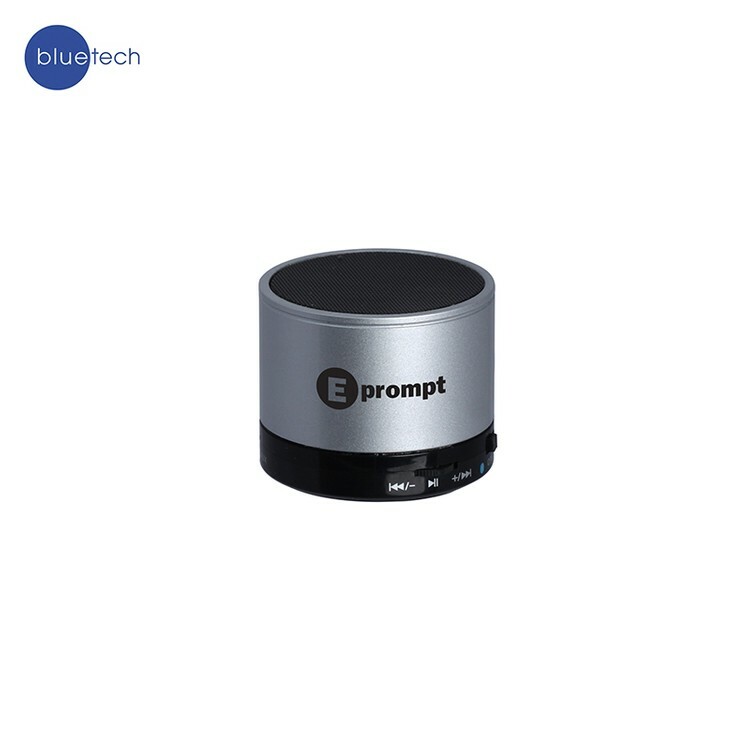 Its features a built in mic to take calls and music controls to adjust the volume, pause/play the song, or skip to the next track. 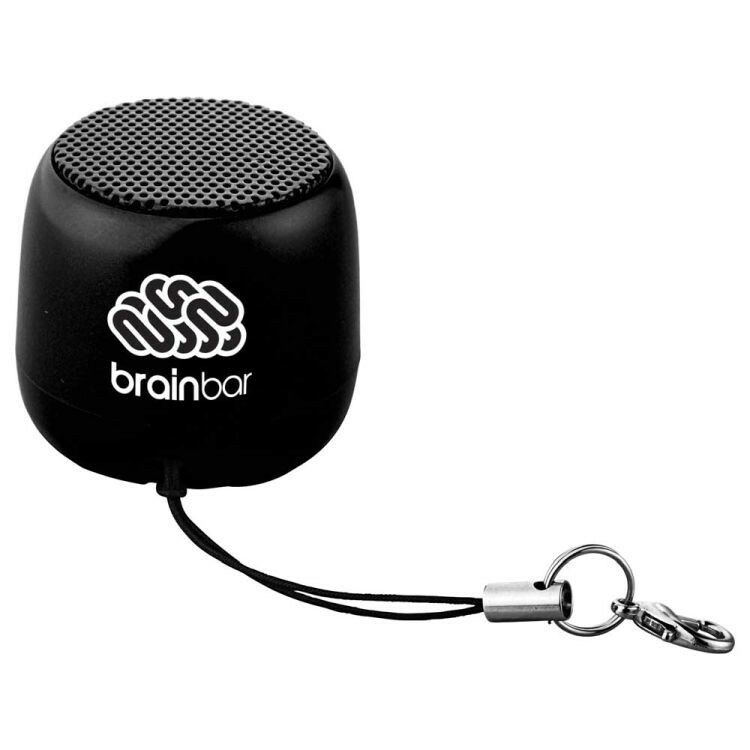 Includes micro USB to USB charging cable, auxiliary cord, and instruction manual. 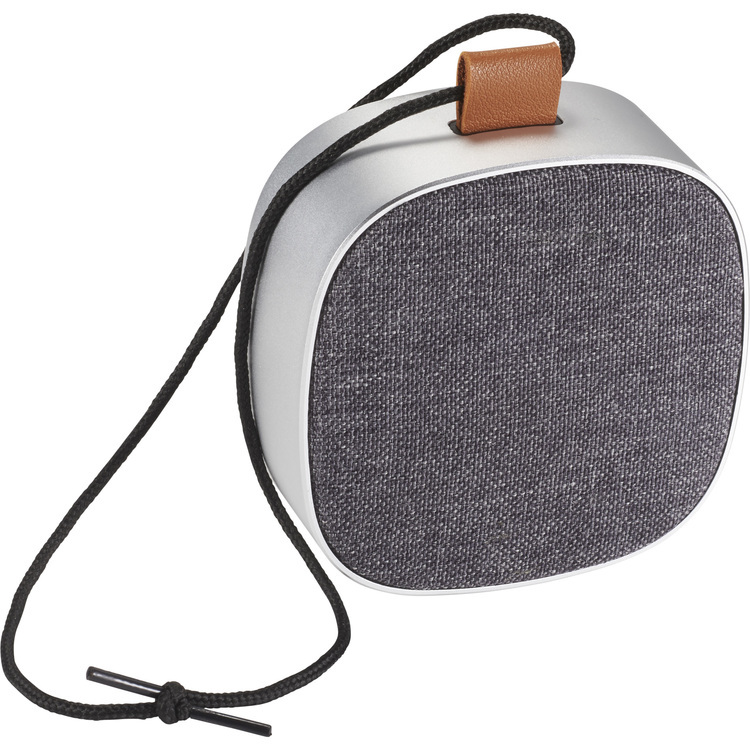 This speaker says never judge it by it's size, as the Havoc Speaker packs 3 Watts of quality audio into it's aluminum shell about the size of a quarter. 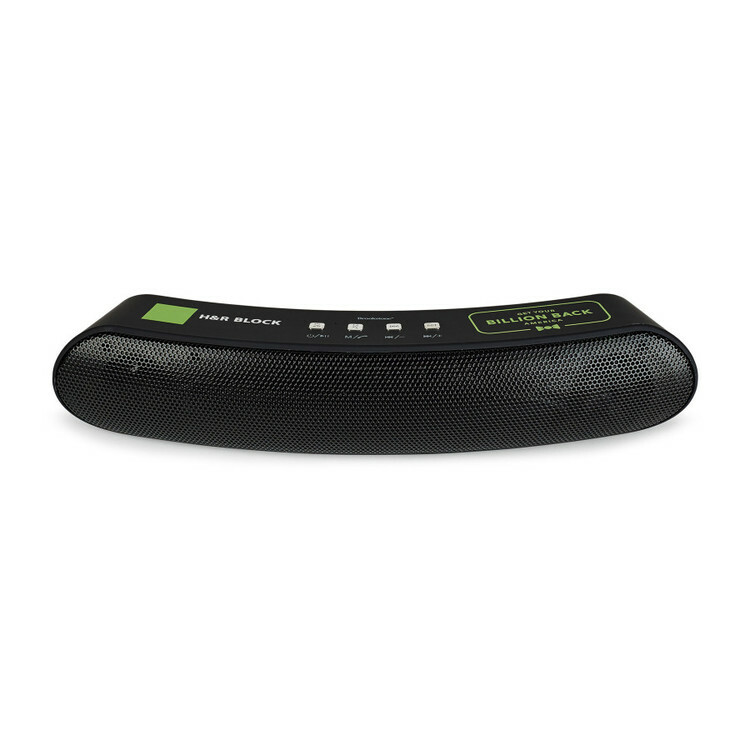 The built-in rechargeable Lithium Ion Battery gives you 7 hours of playback time and recharges in 2 hours. 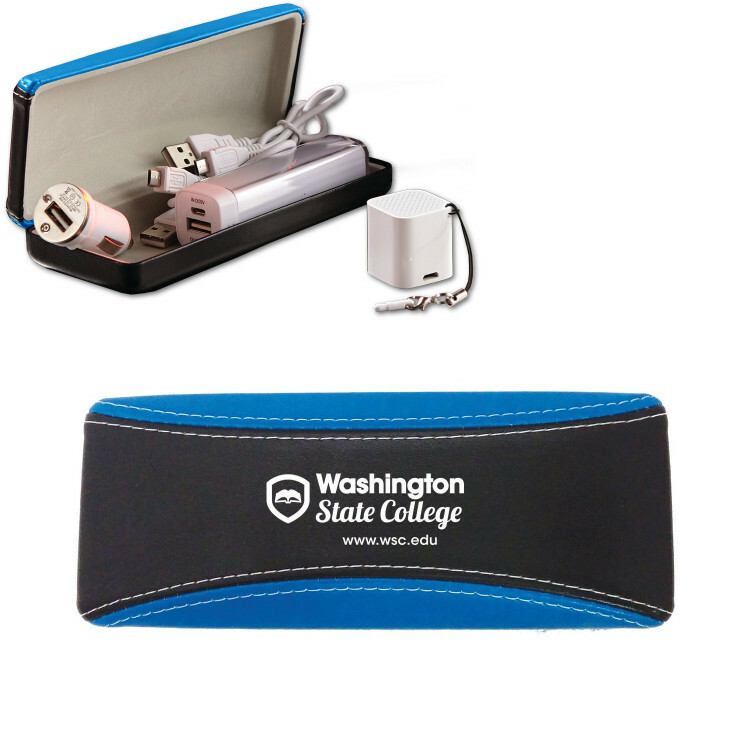 Includes a Micro USB to USB recharging cable, 3.5mm Audio cable, hanging strap, and a convenient velvet carrying pouch for transporting. 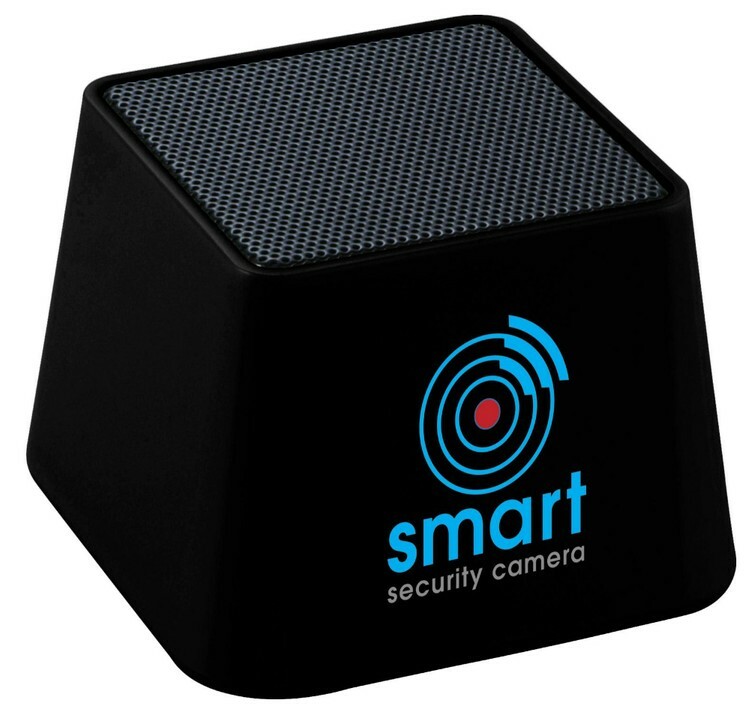 World's Smallest Bluetooth(R) Speaker! 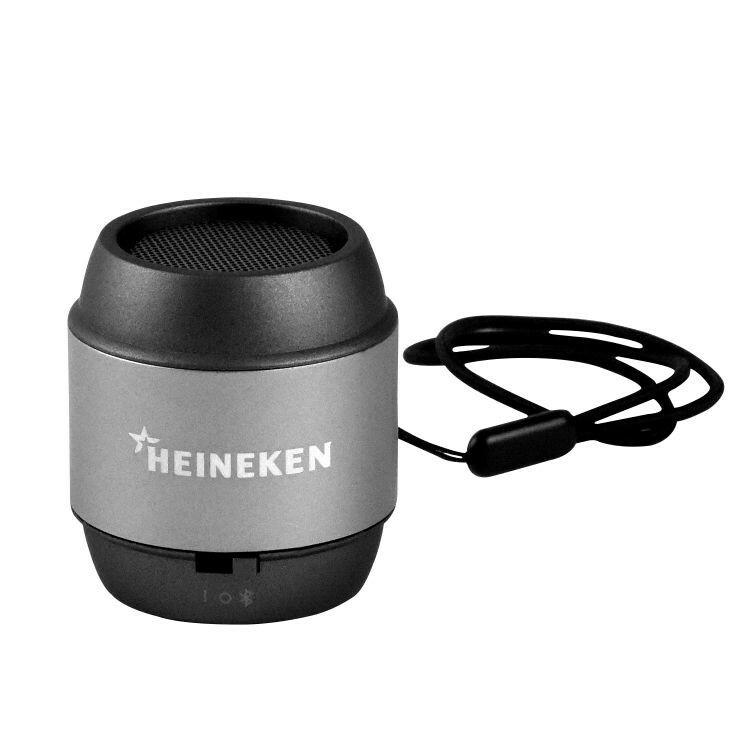 This amazingly powerful little speaker has a built-in microphone so that it can also be used as a hands-free speaker phone. 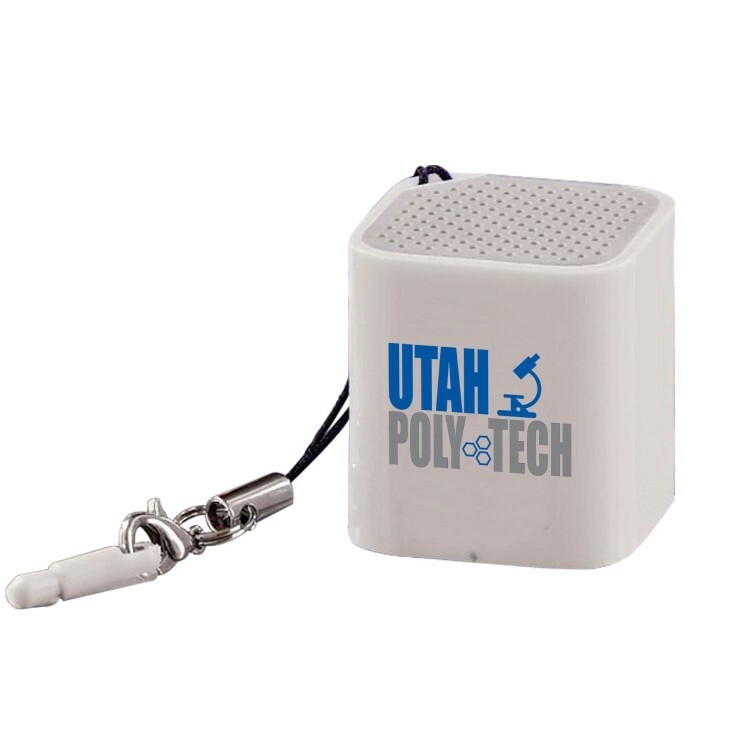 Has Rechargeable battery.Input: 5 V. Output: 2 W. Battery: polymer Lithium. 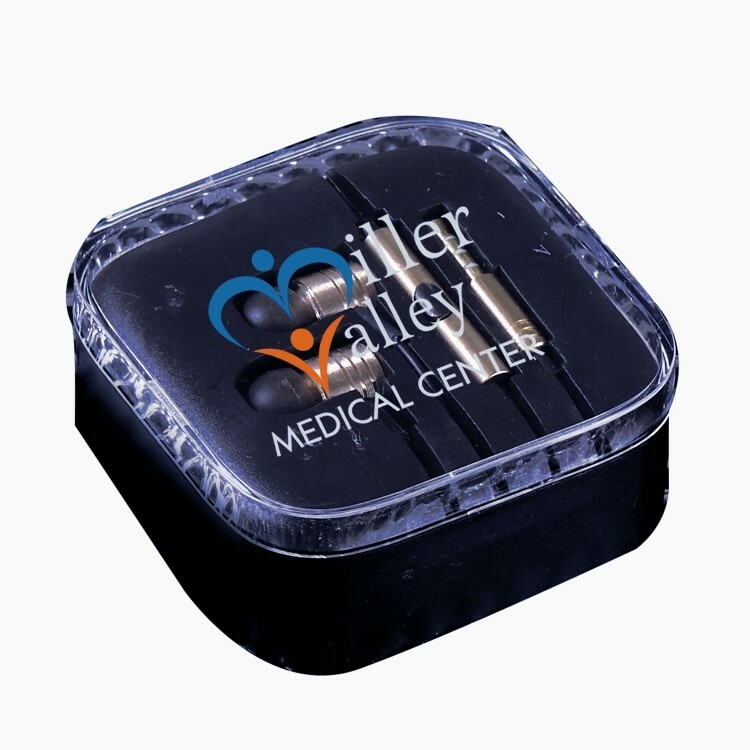 Capacity: 3.7 V, 180 mAh. Plug: USB. Packaging: individual white box. 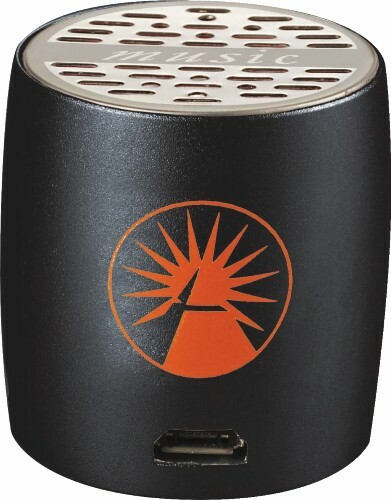 Great sound quality with an entertaining light feature. 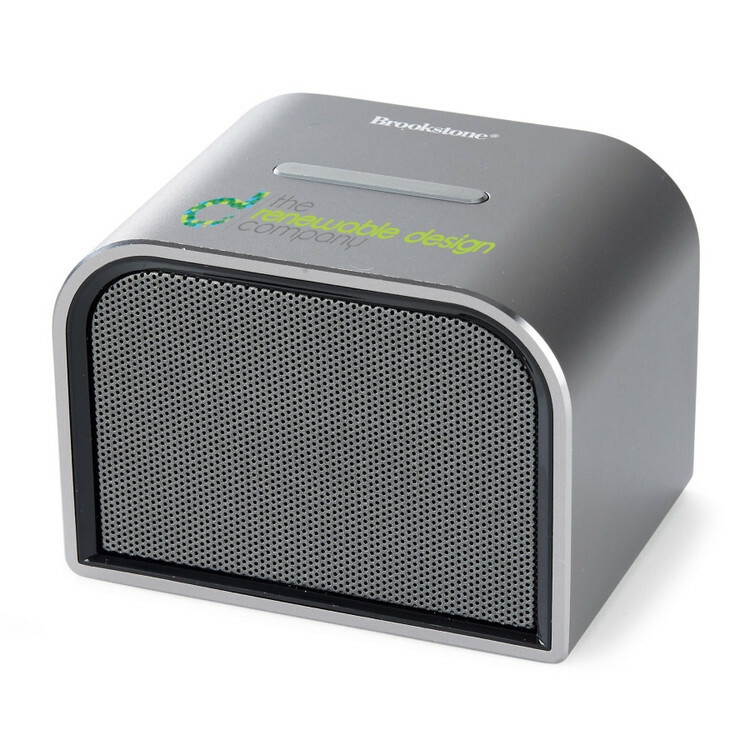 This speaker cycles through a rainbow of colors independent of the music it plays through your Bluetooth(R) or line-in music player. Has Rechargeable battery. Cord included is 18.Input: 5V & USB. Output: 3W. Battery: rechargeable Lithium. Plug: USB & 3.5mm audio cable. Packaging: individual white box. 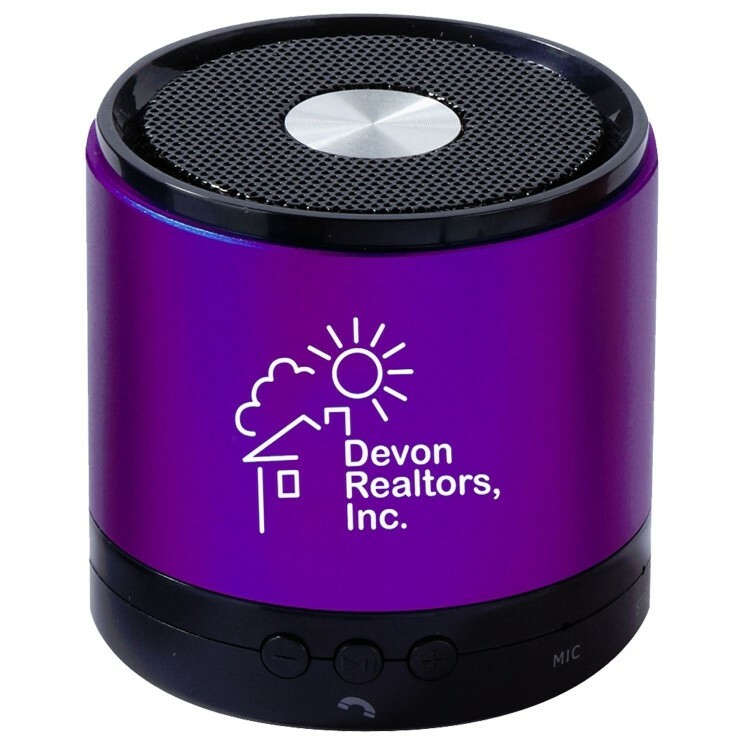 Speaker cycles through a rainbow of colors independent of the music. Plays in-line or Bluetooth(R).